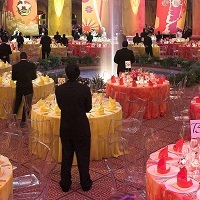 Event Management is a sector, which is slowly emerging as one of the major industries in India. The concept of Event Management is relatively new to India. However, there are great career prospects in Event Management. The best part about Jobs in Event Management is that no specialized qualifying degrees are required if you possess the required skills. Those who want to make it big in this sector must possess good personality and communication skills. We are in contact with a large number of candidates, suitable for the posts of Event Coordinators, Event Managers, Anchors, etc.